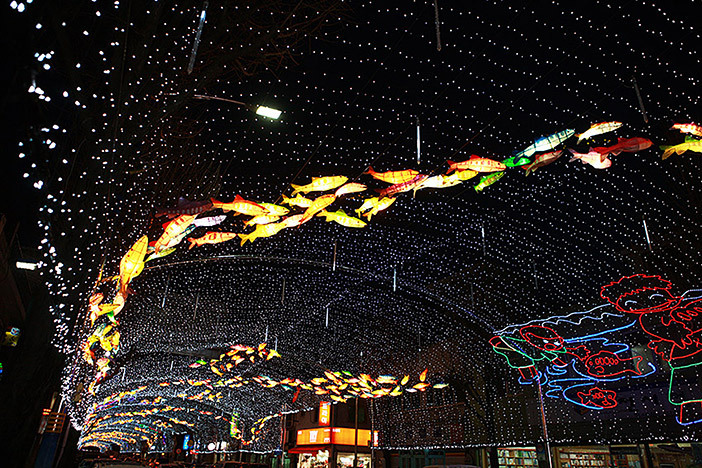 Winter in Korea means plenty of festive gatherings, from Christmas to New Year’s Eve parties. 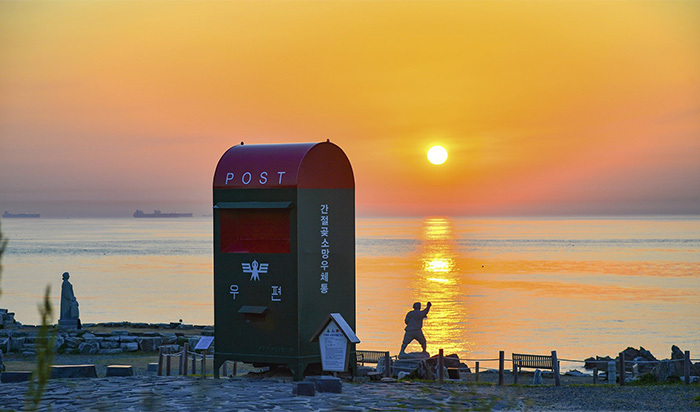 As December comes to an end and the year draws to a close, people gather at sunrise festival Venues across Korea to welcome in the first sunrise of the New Year. January and February are perfect for reveling in the chilly weather by visiting snow and ice festivals. Each region has its own unique winter culture and specialty products, for endless opportunities to enjoy an active winter in Korea. 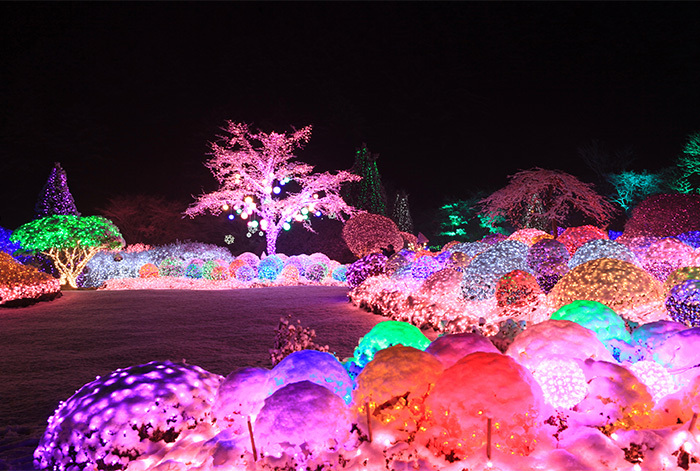 Held at the Garden of Morning Calm, the Lighting Festival is one of the biggest light festivals in Korea, covering nearly 330,000 m2 with lights. With different themes every year, the gleaming lights add a festive glow to the natural beauty of the garden during the winter season. 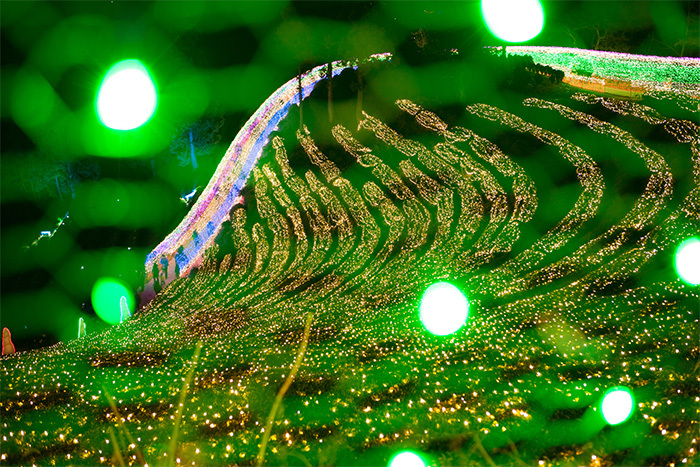 The magical allure of the Boseong Green Tea Fields grows tenfold in winter as bright Christmas lights cast a cheery glow over the expansive fields. The themed spaces and exhibits bring “Christmas decorations” to a whole new level. 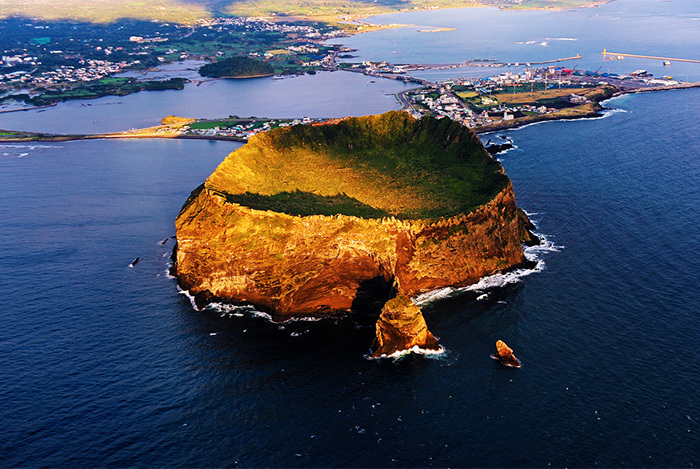 Join the countdown and welcome of the New Year at Jeju’s premier sunrise attraction, Seongsan Ilchulbong Peak (also known as “Sunrise Peak”). In addition to the beautiful sunrise, the festival will also feature parades, performances, firework shows, the distribution of tteokguk (rice cake soup), and other events. 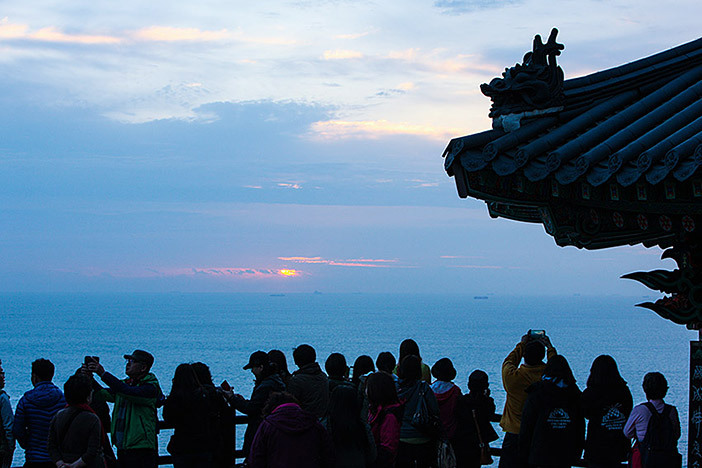 Ganjeolgot Cape is popular as a place to observe the earliest sunrise in Korea. People all across the nation gather to celebrate and watch the first sunrise of the New Year here. New Year's celebrations also include a wide array of events such as fireworks, eating tteokguk, and a wide range of performances. Attractions nearby include thick groves of pine trees, oddly shaped rock formations and Oegosan Onggi Village. 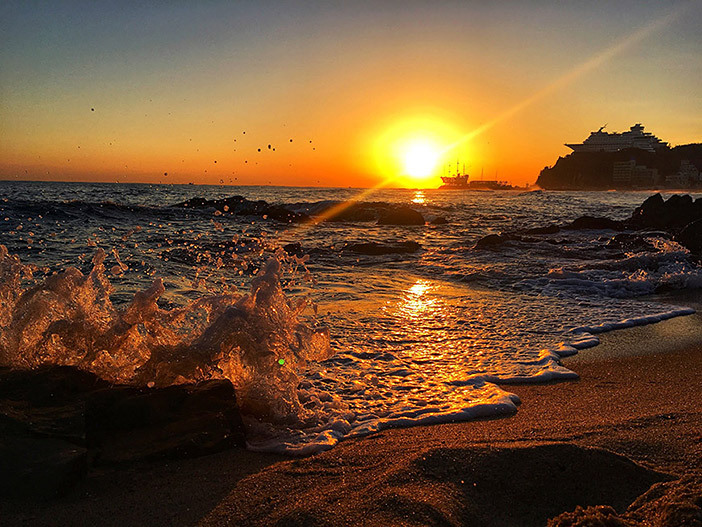 Homigot Cape and its beach area, where the Homigot Sunrise Plaza is located, is definitely one of the most popular places for watching the New Year’s sunrise due to its brilliant yellow and golden sunrise scenery. People can enjoy a variety of performances and fireworks to celebrate the New Year’s Day. 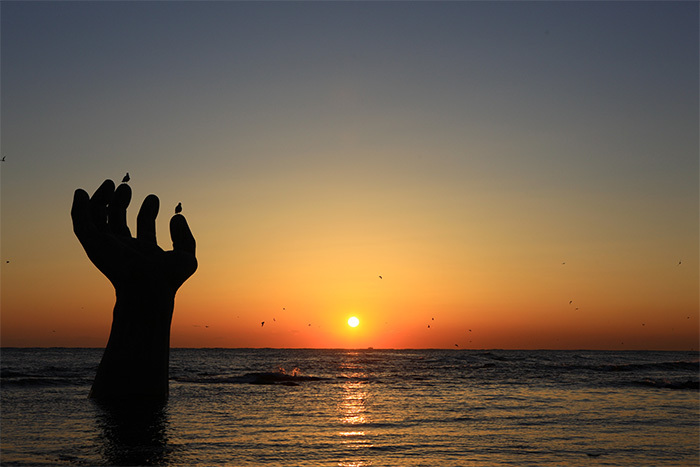 Jeongdongjin’s landmark can be characterized by a large sandglass nearby the beach. The beach's sandglass takes one full year for the sand in the top bulb to completely fall to the bottom. As midnight of the New Year’s Day approaches, the last remaining grains trickle down and the sandglass is turned over once again as part of a grand ceremony, kicking off the brand-new year. 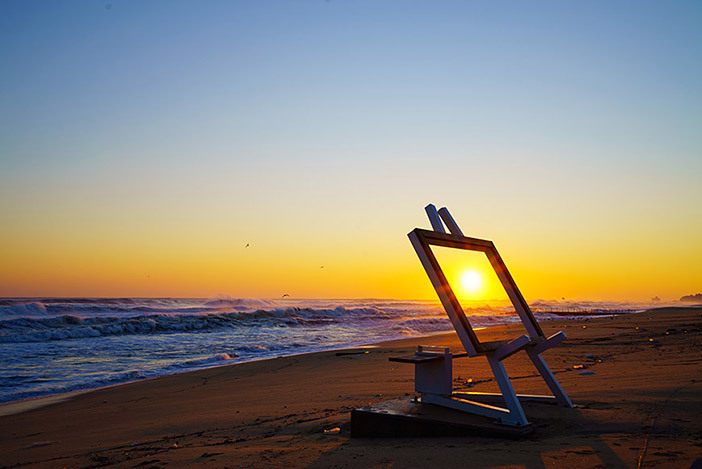 Gyeongpo Beach is well-known for its beauty, which shows itself in different lights throughout the year. On New Year's Day, people gather for a huge celebration counting down the seconds until the New Year, watching fireworks and participating in an array of programs and cultural events. Hyangiram Sunrise Festival is an annual overnight festival attended by those who want to enjoy the view of the New Year’s sunrise. Various events, such as the lighting of wishing lanterns and candle ceremony, are prepared for visitors to enjoy. Pyeongchang Trout Festival annually takes place in Pyeongchang-gun, the largest trout producer in Korea. Trout cultivated in the clear waters of Pyeongchang are popular for their rich and chewy texture. 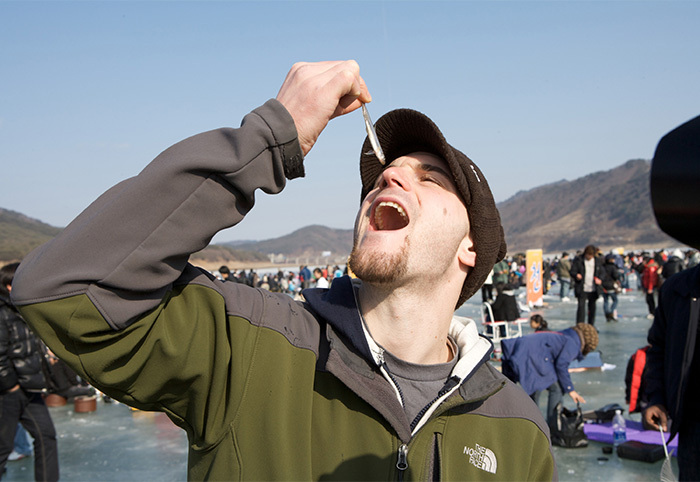 At the festival, visitors can enjoy ice fishing along with other fun activities such as barehanded fishing and sledding. The festival venue is also close to Alpensia Ski Resort and Yongpyong Ski Resort, where PyeongChang 2018 Winter Olympic Games took place. 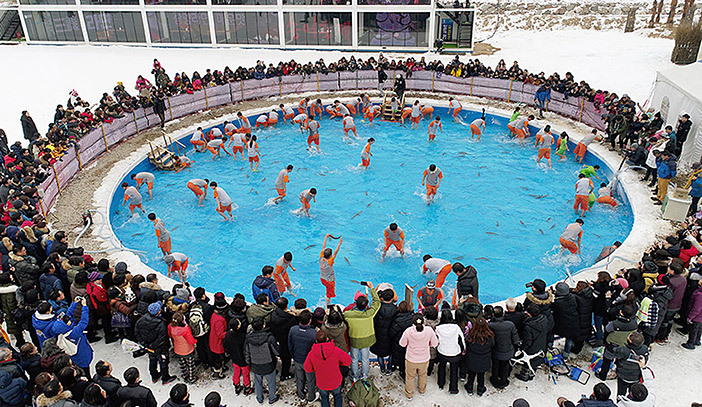 The Jaraseom Singsing Winter Festival is famous for ice fishing for trout, and your catch can be eaten right away, raw or grilled! Other activities include ice sledding, riding bumper cars on snow, traditional experiences, and more. It is easy to reach Gapyeong simply by taking the ITX Cheongchun train from Yongsan Station. There are also popular attractions nearby such as Namiseom Island, The Garden of Morning Calm, and Petite France. 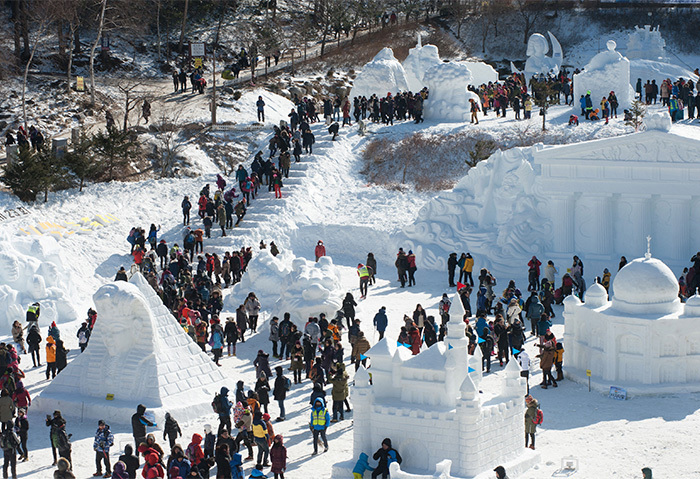 The Sancheoneo Ice Festival is held in the pristine natural environment around Hwacheoncheon Stream, the natural habitat of mountain trout and otters. One of the most popular programs at the festival is ice fishing, where people cut a hole through thick ice and try their luck at catching trout. Visitors can also brave the icy water and try catching fish barehanded. Helpful staff are available to ensure that even first-timers get a catch. Freshly caught fish can be consumed either raw or grilled on site. At Inje Icefish Festival, visitors can enjoy ice fishing and other exciting programs such as ice sledding, a large icefish sled, and snow slides. All the icefish caught by participants can be served as hoe (sliced raw fish) or deep-fried for a warm treat. 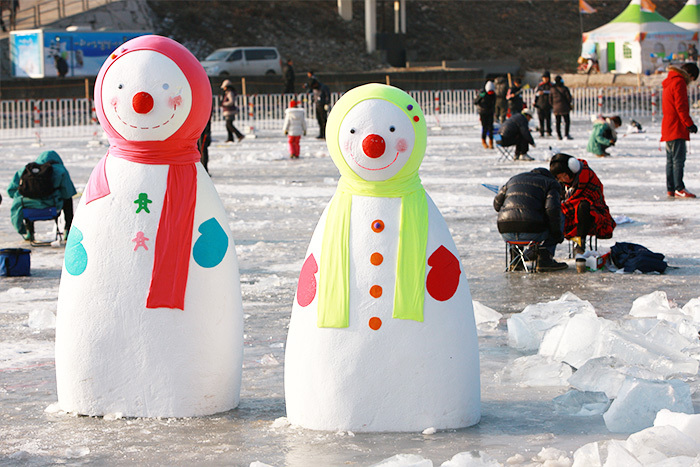 Taebaeksan Snow Festival offers guests an array of events and activities that are sure to amuse and entertain everyone. In addition to performances and exquisite snow sculptures, visitors can participate in snow sledding with the beautiful Taebaeksan Mountain covered with snow as their backdrop. 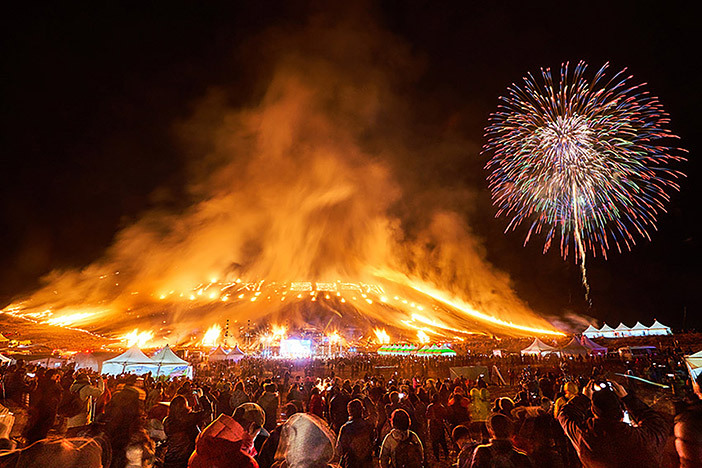 The Jeju Fire Festival is held annually to wish for a healthy and prosperous new year. Long ago, Jeju farmers would set fire to their fields to kill harmful bugs and encourage new grass for their cattle. This tradition is reenacted by setting an entire side of the mountain ("oreum") on fire. Visitors can also experience the traditional lifestyle and practices of Korea's farmers, including a traditional wedding ceremony at the festival. ※ Festival programs and schedules are subject to sudden changes based on the weather. Please check the information before visiting. * This column was last updated in October 2018, and therefore information may differ from what is presented here. We advise you to check details before visiting.